VHMED offers a wide range of specimen retrieval solutions for laparoscopic use. The Black & White endobag is an automatic, non-detachable endobag which is very easy to use in any greater than 10mm port. Our Black & White+tether endobag is detachable with a single piece drawing tether, allows surgeon continue to use the port after completing the endo retrieval. The Taper Bag series specimen retrieval system uses burst resistant materials, can be used where the strictest requirements of specimen retrieval are needed. The proprietary designed bag retention and release mechanism allows multiple uses on a single patient. 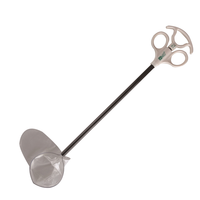 The simple endobag has the simplest design, suitable for routine use in many standard laparoscopic specimen retrieval. VHMED always has a solution for you on specimen retrieval. 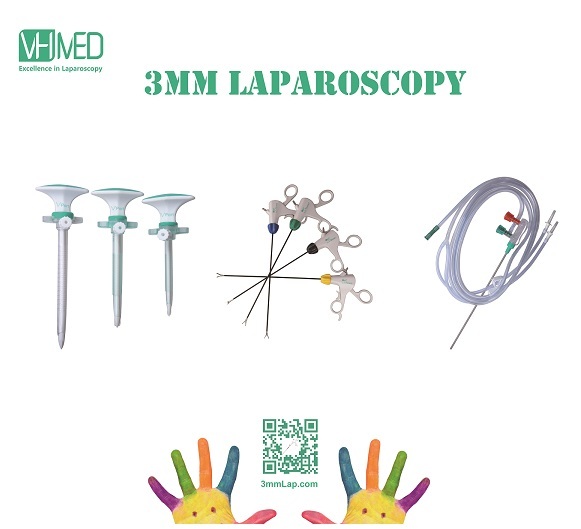 VHMED provides a wide range of instrumentations for endoscopic tissue manipulations, including electrosurgical instrumentations in the diameters of 5mm and 3mm, as well as articulating instruments to enable the reach to target tissues which are difficult to operate by standard straight instruments, both monopolar laparoscopic instruments and bipolar laparoscopic instruments. Our proprietary Surecut technology allows our VShear curved Metzenbaum scissors with best-in-class smoothness and sharpness in every endoscopic transection. Laparoscopic Mini Metzenbaum scissors are designed for the transection of delicate tissues. Our VDissect dissecting forceps are designed for efficient tissue dissection with electrocautery energy. 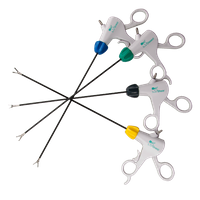 A wide choice of VGrasp series grasping forceps are designed for the grasping applications of different clinical structures. With the broadest range of laparoscopic instrumentations, VHMED offers a comprehension solutions for endoscopic tissue manipulations. 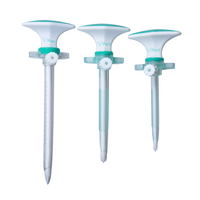 VHMED Flowquik Suction irrigation tube set is designed for the general suction and irrigation use of laparoscopic procedures. The system is designed with both visual and tactile feedback in use, with a colour coded design alongside the tube, connector and controlling hand piece. The lavage system is produced with dual spike connections to two bottles / bags for uninterrupted irrigation connections. 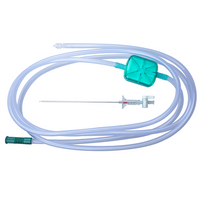 VHMED laparoscopic trocar products are the essential tools for laparoscopic access. 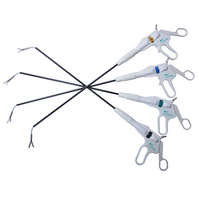 VHMED laparoscopic trocar family includes a wide selection of Auto Shield bladed trocars, optical bladeless trocars, Hasson trocars and DamoclesÒ low profile trocars to meet various clinical applications and different surgeons’ preferences in laparoscopic procedures. VHMED AutoShield bladed trocars are designed as shielded bladed access with safety features, optical bladeless trocar offers the optional video assisted access on a less traumatic way of creating an instrument port, Hasson trocars are preferred by surgeon who adopts open technique laparoscopy, and Damocles low profile trocars are used to create port access of 3 or 5 millimeters. 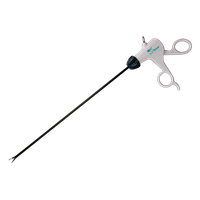 VHMED laparoscopic trocars provide laparoscopic trocar port access solutions ranging from 3 millimeters to 12 millimeters. VHMED Green Box Laparoscopic Insufflation is designed to meet the daily insufflation needs of all laparoscopic procedures, with the combined use of Green Box Laparoscopic Insufflation tubing set and insufflation needle or VPort primary trocar to establish pneumoperitoneum prior to the laparoscopic procedure. 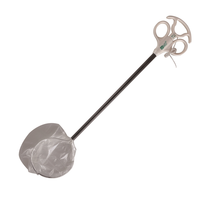 The proprietary Green Box Laparoscopic Insufflation Tubing Set is designed with the lowest footprint in the market. 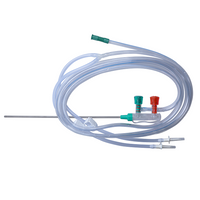 As compared to the disposable insufflation products in the market, Green BoxÒ Laparoscopic Insufflation Tubing Set saves over 50% of footprint therefore greatly reduce the packaging and shipping cost. 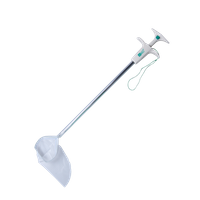 The Insufflation Veress needle is designed with a spring loaded tip to protect the patient from the damage of the sharp needle tip after the abdominal access is obtained prior to carbon dioxide gas insufflation. The standard Luer Lok connecter provides universal connection to all standard CO2 endo insufflators. VHMED is exclusively focusing on the development and manufacturing of medical devices for minimal invasive applications. We are equally committed to improve the quality of care and reduce the spending of global healthcare systems. We achieve this by investing in the in-house design and engineering capabilities, state-of-the-art, end-to-end manufacturing facilities by translating the clinical expertise to trusted laparoscopic tools. Our innovative product range includes veress needle insufflation, trocar access ports, electrosurgical instrumentations, specimen retrieval systems, suction irrigation system, tissue ligation products, wound protection and retraction, as well as 3mm micro laparoscopic instrumentations, covering a complete solutions for a wide varieties of laparoscopic procedures. Our state-of-the-art manufacturing facilities include a large scale ISO Class 7 (Class 10,000) cleanroom with an uninterrupted 24 hours purified water supply. Our vertically integrated manufacturing system enables the streamlined production workflow from product concept, design and validation, injection mould design and production, to product final assembly. We continue invest heavily in the manufacturing systems and the technical capacities to enhance our product portfolios in laparoscopy and advance the technologies in minimal invasive therapies. With a proven track experience in med tech engineering, quality engineering and control, manufacturing and international business operation, our management is calipered toward flexible manufacturing with customizations. Our customized services include but not limited to product concept design, mould production and plastic injection moulding, metal processing and treatments, product fulfillment services, pad transfer printing, laser marking, product assembly, packaging design, customized kits and more. Hence to bring our high quality products to meet the local needs of our worldwide customers. Possesses the philosophy of ‘Patient Safety First, Focus on clinical outcome’, we are carefully listening to the user voices to endlessly and tirelessly improve our product offerings to deliver best in class minimal invasive therapy products. ‘Industry wide broad view, excellence in engineering, keep agile’, we are striving ourselves to become a leading medical device provider for minimal invasive abdominal procedures. we are striving to become a leading medical device provider for minimal invasive therapies. 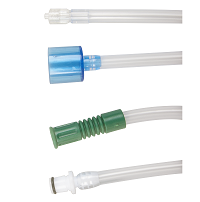 VHMED announces the expansion of the insufflation tubing systems. Copyright © VHMED (Nantong) Co. Ltd. All rights reserved.